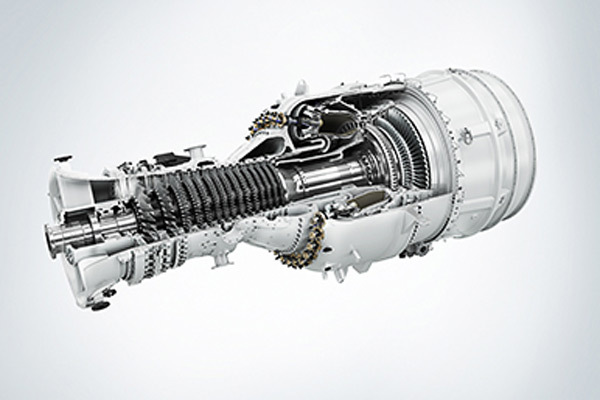 Siemens is now offering its SGT-800 industrial gas turbine with a power output of 57 megawatts (MW) and an electrical efficiency of more than 40 per cent in simple cycle application, the company said. In a combined cycle configuration the power output is 163 MW at a net efficiency of more than 58.5 per cent, the company said. The company will present this upgrade for the first time at this year's Power-Gen Asia trade show in Bangkok this week. The SGT-800 is now available with power output from 47.5 MW to 57 MW thanks to this upgrade, which will be offered onto the market in addition to the current ratings, it said. "The most powerful SGT-800 to date is aimed primarily at industrial power producers and oil and gas companies that have a particularly high energy demand," said Nick Muntz, CEO of the Siemens Distributed Generation Business Unit. "We’re thus helping meet the rising global demand for distributed power generation and offering a high-end product for such applications." The 57 MW upgrade follows the design philosophy of taking small evolutionary fine tuning steps, while staying close to the commercially proven and reliable design of the SGT-800 industrial gas turbine. Only improvements of gas turbine parts using Siemens existing and mature core engine technologies have been made. The improved performance of the 57 MW rating has also been achieved through improved gear box and outlet casing/diffuser efficiencies. A reduced footprint of the gas turbine package has been achieved thanks to a shorter design, as well as a higher degree of preassembly for shorter installation time at site. To date, more than 325 SGT-800 turbines have been sold worldwide. The Asia Pacific region is an especially important market for the machine, with more than 100 units sold, 71 of them in Thailand alone. Over the last five years the SGT-800 has been the market-leading gas turbine for combined cycle applications in its power range. The installed SGT-800 fleet has currently reached more than five million operating hours. The turbine, which was originally known under the product name GTX100, began development in 1994 and was launched in 1997.